Going solar helps the environment. According to the Solar Energy Industries Association (SEIA), the solar industry has reduced carbon emissions by so much that it's the equivalent of planting about 956 million trees. Here at Carolina Energy Conservation, we are focused on benefiting both our customers and the planet as a whole. Upgrading to a residential solar power system will not only help you live with better energy efficiency and lower utility bills, it will also make a significant difference in protecting the environment from pollution and global warming. 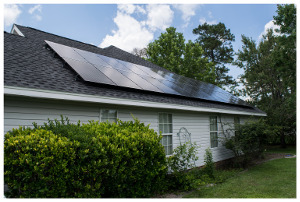 Carolina Energy Conservation offers solar panel installation and energy-efficient home improvement services in Charleston and nearby areas in Eastern SC. If you're ready to find out more about how solar power can benefit both you and the environment, contact us today! 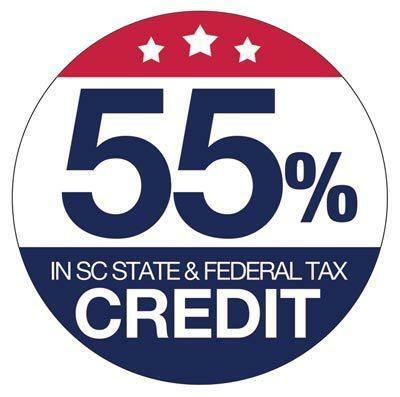 We offer free, no-obligation quotes throughout our service area in South Carolina. Reduces air pollution. Fossil fuels, the most common energy source today, release harmful carbon dioxide and methane emissions into the environment. Not only are these substances leading contributors to global warming, they also result in decreased air quality. By contrast, when solar panels are used to generate electricity, this alternative energy source does not produce any air pollution at all. Reduces water pollution. Natural gas and coal-fired energy facilities, which provide most of the electrical energy we use, require huge amounts of water in order to operate. Near-continuous water circulation is necessary for their cooling requirements. Furthermore, groundwater contamination and pollution of local water resources near these facilities are all too common. Solar panels do not need any water to generate electricity, which means that solar energy will never pollute local water resources or cause a strain on local water supplies. Saves finite resources. Fossil fuels are a non-renewable energy source which will eventually run out – once they're gone, they're gone for good. Even before that happens, as fossil fuel resources become scarcer, they will become much more expensive to find and extract. Solar energy, on the other hand, is completely renewable and inexhaustible. The sun is the most abundant energy source we have, so why not take advantage of this free and renewable resource? You may be thinking that making your home more energy-efficient might not have that big of an impact in the big picture – after all, you're just improving one home out of millions in the U.S. alone. Think again! According to the U.S. Environmental Protection Agency (EPA), an average household emits around 20 metric tons of carbon pollution every year, and the U.S. Green Building Council reports that buildings are responsible for about 39 percent of all carbon emissions in the country. The installation of a solar power system for a typical two-person household can reduce that home's carbon emissions by three to four tons per year. That's a significant amount and is a vital step toward reducing humanity's impact on climate change. Solar power systems are affordable and beneficial for your home's function, helping you save on your energy costs, all while providing valuable protection for the environment. By switching to solar energy for your home, you can enjoy the improved energy efficiency while knowing that you're doing your part to decrease the effects of pollution and global warming. 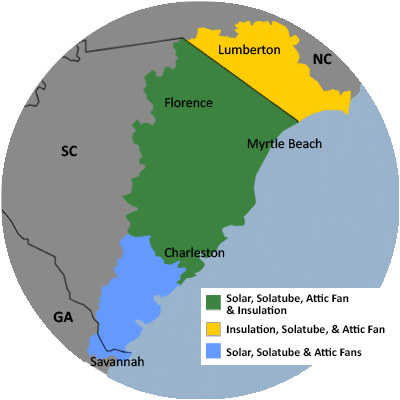 Contact Carolina Energy Conservation today to find out more about our solar photovoltaic systems and other renewable energy solutions in Myrtle Beach, Charleston, Sumter, and areas nearby. 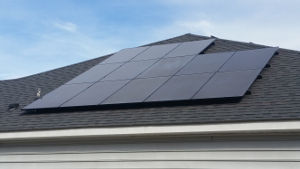 We offer free, no-obligation quotes on solar panel installation and more!